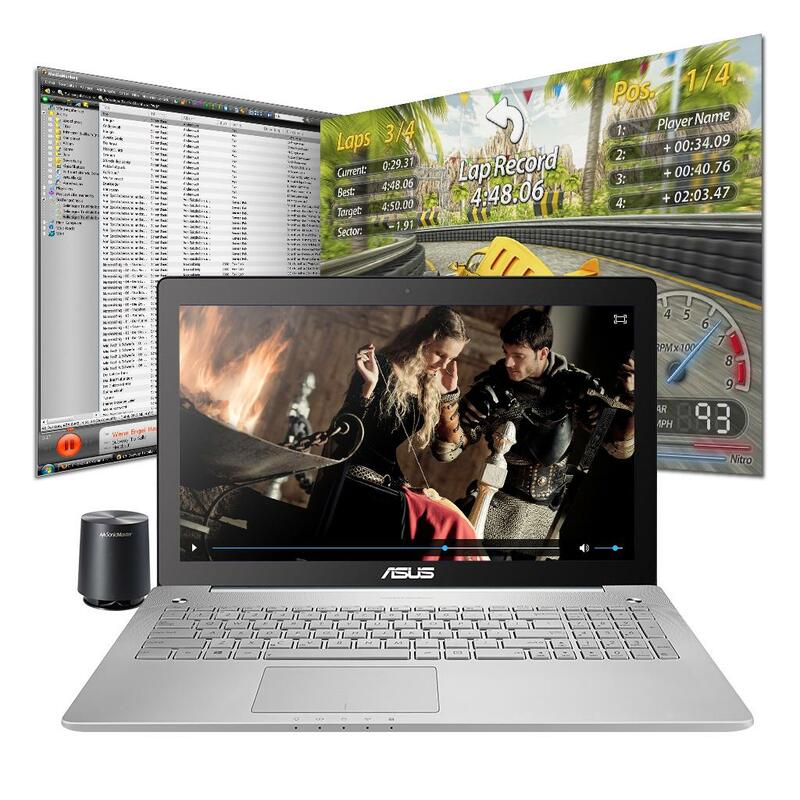 The ASUS N550JK combines cutting-edge audio and visual technology to deliver an unsurpassed multimedia experience. A full HD wide-view IPS panel is tailor-made for watching movies and the intuitive touchscreen makes for easy, seamless navigation. 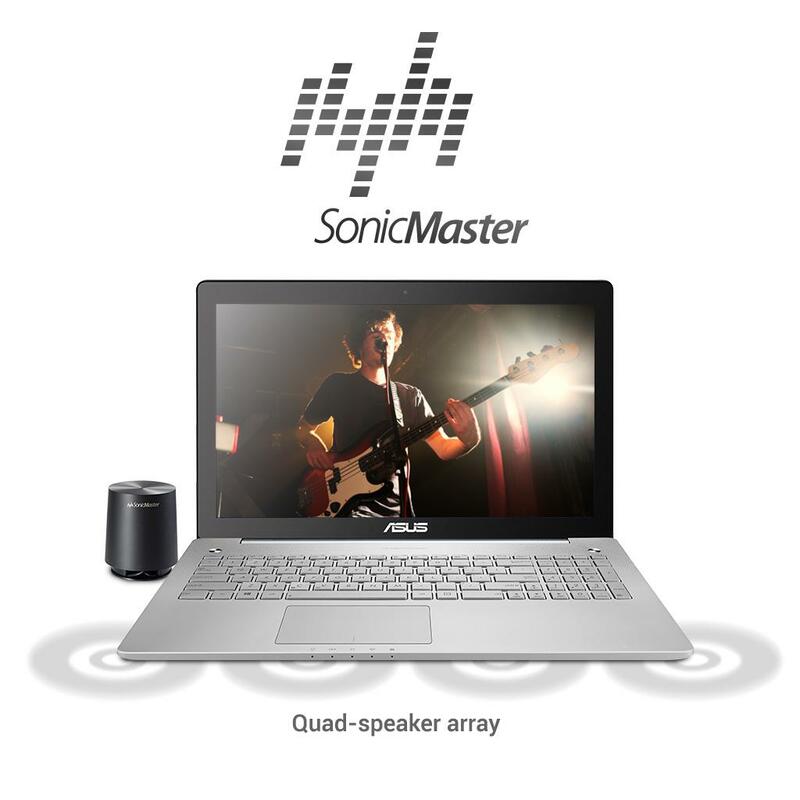 ASUS has paired the N550JK’s impressive display with SonicMaster Premium, co-developed with Bang & Olufsen ICEpower audio experts, for true surround sound. A quad-speaker array and external subwoofer combine for distinct vocals and a low bass that you can feel. 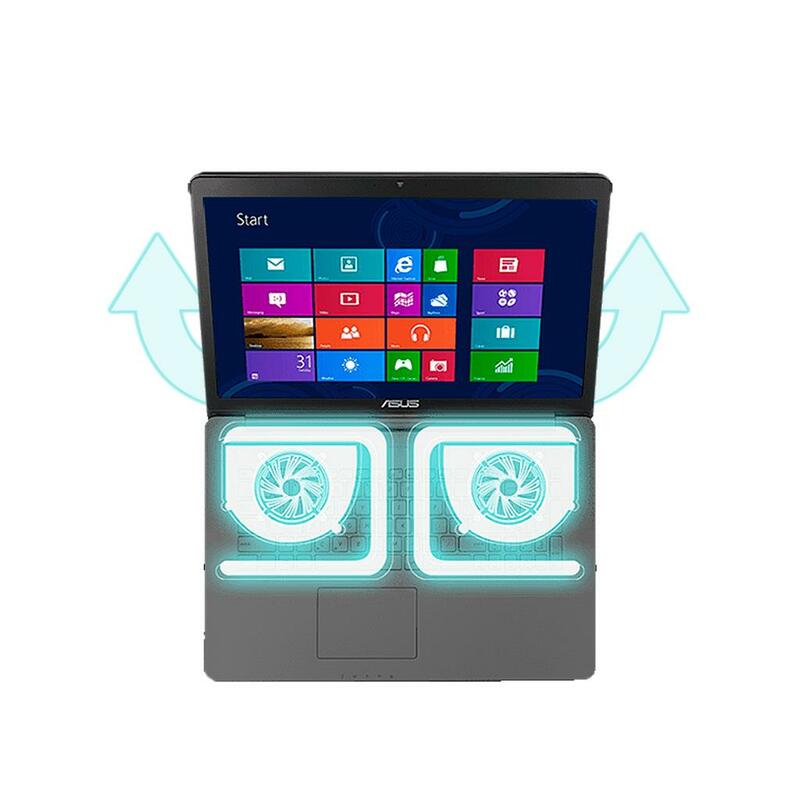 The N550JK is the first laptop with a quad-speaker array, producing theater-like surround sound. But the result isn’t just louder – it’s crisper. SonicMaster Premium technology, co-developed with world renowned Bang & Olufsen ICEpower sound experts, cleans the audio by removing interference, while a bundled external subwoofer provides a clear, deep bass that you can feel. And with the MaxxAudio tool, you can customize your sound experience by simply tweaking the settings or choosing one of several preset modes to suit specific needs. Whether playing your favorite movie, the latest album, or the hottest game, the N550JK makes it the best it’ll ever sound. Featuring a 4th Gen Intel Core i7 processor, the N550JK lets you multitask with a seamless experience. Browse the internet, download music and play your latest games simultaneously without the faintest hint of lag. Not only will your experience be sooth, but beautiful. Powered by NVIDIA GeForce GTX 850M graphics, the N550JK boasts enhanced graphics capabilities and double the power efficiency of previous generations. 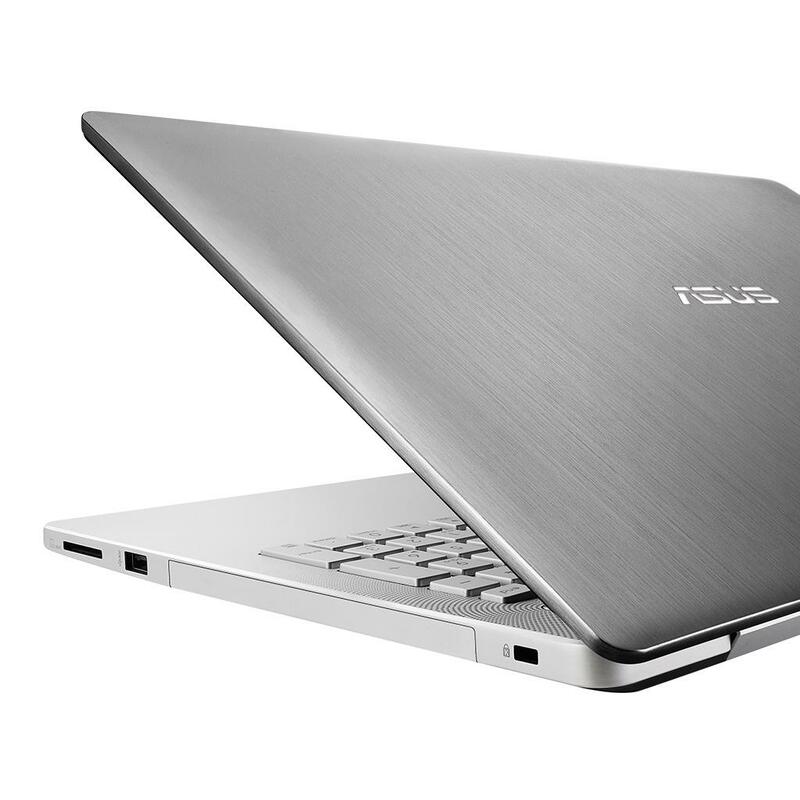 The only thing faster is ASUS’s Super Hybrid Engine II, which wakes the computer from sleep mode in a mere 2 seconds. Now you can stop and start your work instantly right where you left off. The modern, minimalist design of the N550JK begins with its aluminum exteriorand slim body, which belies its internal performance capabilities. The ASUS team has crafted the finest audio and visual components – all within a notebook that’s a mere 1.1 inch at its thickest point. It’s where performance meets portability. With a 15.6” full HD IPS panel and 178-degree wide-viewing angle, you can take the N550JK anywhere and enjoy a multimedia experience with anyone. Forget the heat. The N550JK features dual fans, twin heatpipes and large vents that guarantee stability and low temperatures even when multitasking. The notebook’s architecture quietly expels heat through the back of the computer – away from the user – so you can focus on what you’re doing, whether it’s watching a movie, playing a game, listening to music or all three at once. An advanced touch panel allows you to take full advantage of Windows 8 and its touch-friendly interface. While industry standard calls for 9mm touch detection, the N550JK’s panel increases that resolution to 6mm, offering a response that’s quick and precise whether you’re writing, gaming or browsing the internet. 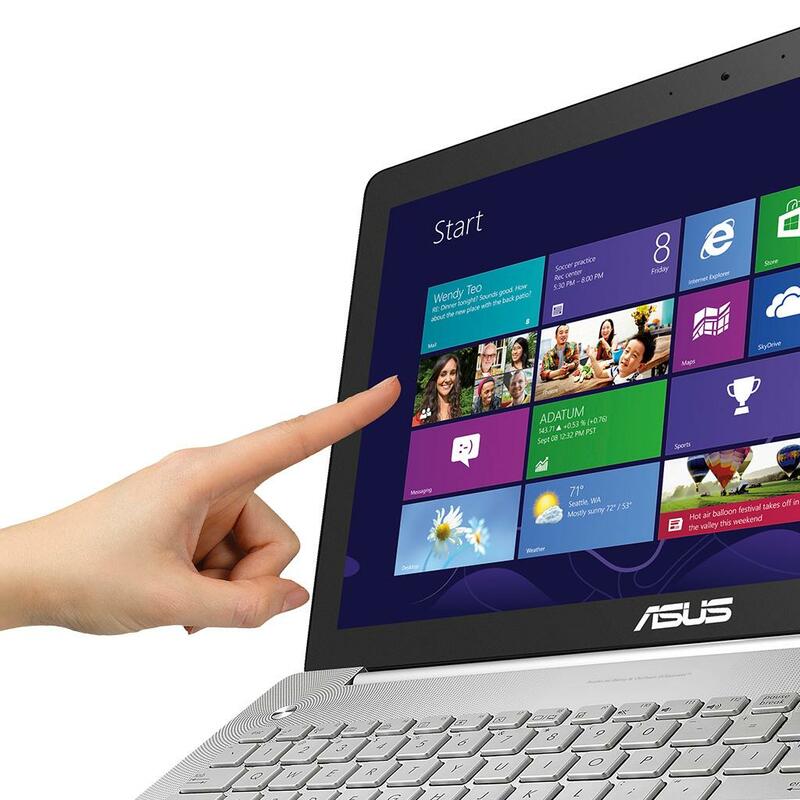 Just as accurate is the large multi-point touchpad that supports ASUS Smart Gesture technology. Now you can swipe through apps, scroll down webpages and pinch-zoom on pictures with intuitive finger motions just like on your smartphone. Tell us what you think about ASUS N550JK-DS71T 15.6" Full-HD Touchscreen Quad Core i7 Laptop, share your opinion with other people. 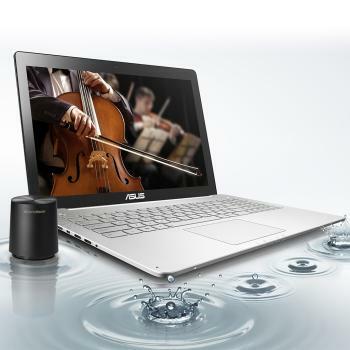 Please make sure that your review focus on ASUS N550JK-DS71T 15.6" Full-HD Touchscreen Quad Core i7 Laptop. All the reviews are moderated and will be reviewed within two business days. Inappropriate reviews will not be posted.